No matter what the circumstances, it’s possible to change your life. This week on BetterWorldians Radio we’ll talk about how changing the way you think, can change the way you live. Our guest this week is award-winning author Weldon Long. Long will talk about how he went from prison to prosperity and from a life of crime to a life of happiness by practicing “The Power of Consistency.” Tune in every week to hear new guests share how they are making the world a better place and to learn how you can become a BetterWorldian! Joining us today is Weldon Long. In 2003 Weldon Long walked out of prison, broke and homeless, but by 2009 he had built an Inc. 5000 company with over $20 million in sales. Weldon has had an incredible journey from poverty and homelessness to a life of wealth, happiness and peace of mind. 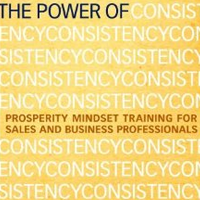 This was all a result of an unstoppable prosperity mindset, which is embodied in his book, The Power of Consistency. Mr. Long is an entrepreneur, dynamic speaker and award winning author. Weldon joins us today to talk about his journey and to tell listeners how they can change their own lives by changing their thinking. As a starting point, I just want to say that I came across Weldon's book, Power of Consistency, and I don't see things as happening by coincidence. This particular book found its way in my hands, found its way on my shelf, found its way reading it, and as I read it I thought of somebody I might give this to. I gave it to that person, and it turns out their journey that they were on at the time is very similar to the journey that you're about to hear. So, hopefully, they'll be listening in, as well as many other people who want to change their life. Weldon, I'd like to thank you so much for joining us today on BetterWorldians Radio. Well, good morning to all of you, and I thank you very much for having me. I'm very pleased to be here. Well, you're very, very welcome. Your story, as it turns out, begins in a very unusual place, which I alluded to, prison. So give us a little brief synopsis of the circumstances of your life when you realized you needed to make a big change there? Well, from 1987 until 2003, over that 15-year span I spent 13 of those years in prison. I had dropped out of high school in the ninth grade, and by the time I was 23 years old my life looked pretty much like you would expect it to look with no education, no plan, no skills. And at 23 years old I went to prison for the first time after picking up a hitchhiker up in Denver, Colorado and high on drugs he and I eventually held two men at gunpoint that night. A few months later I was starting a 10-year sentence. I went to prison for about four years. I got out at about 27 years old, and got out with the same attitude, and probably was worse coming out than I was going in just because, and I had to begin the process of defining myself as this thug, want-to-be tough guy, whatever. So I made it about 18 months, I went back to prison a second time on parole violations, got out two years later at 30 years old. I made it about 18 months, again, and went back to prison for the third time in 1996. When I went back the third time I went to Federal prison for seven years on mail fraud and money laundering charges. When I walked out after that stint, that was 2003, 10 years ago, I walked out to a homeless shelter in Colorado Springs, Colorado. And then the story you kind of outlined, in the last 10 years just an amazing transformation in my life along all the major dimensions -- spirituality, health and fitness, relationships, financially, of course, and it's just been a very dramatic journey of one extreme to the other. It has been, indeed. I see that you were inspired in reading a book, from a quote from Emerson. I think the quote, as I recall, is we become what we think about all day long. Can you tell us about that and how that changed your thinking? Absolutely. It was interesting because just before I read that I'd come across, in 1996 when I was in prison that third time, on June 10th of 1996 I got the news that my father had passed away. And at the time I had seven years left to serve. I had a three-and-a-half year old son that I had fathered while out on parole that I had abandoned. And so when my father died that was kind of my turning point. So I began this process of I've got to find a way to change my life, and I picked up initially a quote from Frederich Nietzsche, Nietzsche said we attract that which we fear. A little while after that I read a scripture of the Bible where Jove said that which I have feared has come upon me. And right after I read those two and I was thinking about this whole concept of attracting things that we don't want in life, I stumbled across the Emerson quote, exactly as you just related -- we become what we think about all day long. And suddenly it occurred to me that all the chaos in my brain, the poverty, the fear of poverty, prison, the fear of prison, fear of losing my son, fear of wasting my life, all of a sudden I realized all that chaos in my brain was somehow getting out of my head and showing up in my life. And, of course, it's a very simple neurological process, I understand now, but at that time I didn't really understand what was going on, only that my life was a perfect reflection of my chaotic mindset. Now how did those first days, those first years out of prison for you, were you able to achieve what you set out to do? Well, on that last trip out, yes, when I got out in 2003 within just a few short years I had built this really amazing life, that actually started back in prison. After my father died, and I began really to understand that there was a connection between what was going on in my mind and what was showing up in my life, I sat down at the little metal desk in my cell -- this was in 1996 -- and I wrote out what a perfect life for me would look like, and I decided I was going to put all that stuff in my head, instead of all the chaos that was in there. So I wrote down that I'm an awesome father to my son, I'm a man of honor, character and integrity, I'm wealthy beyond my wildest dreams, I have beautiful homes in Colorado and Maui, and all these specific things that I wanted. And within just a few years of walking out of prison that last time in 2003 all of those things had come to pass. I was able to while in prison get a GED, and eventually get a Bachelors Degree and a Masters Degree. So when I walked out I at least had that under my belt. I got to the shelter, took me about six months to find a job. I got a job, and I just continued to build my life from there. Now you mentioned that it was six months from the time that you actually entered this place for you to live for six months, and in that six-month period how many doors do you think you knocked on before you finally got your first yes? Well, it'd be hard to put a number on it, but it would be in the hundreds. I would go out every day, I would leave the halfway house at eight o'clock or so in the morning, they would give me a pass to leave at eight o'clock in the morning, and then I would be back at six o'clock in the afternoon. And so I would spend all those hours riding the bus lines, pounding the pavement. And I was very motivated, very focused, I would walk into places and I would say, how do you, I'm Weldon Long. I just need one shot, one job, one opportunity. I'll never lie, cheat or steal, and I'll sell more of whatever it is you sell. And people would say, wow, that's a great attitude; we need more of that attitude around here. I'd have to say; well, now there's a little more to the story, and I'd have to tell them about the 13 years in prison and all that kind of stuff. And people would say thanks, but no thanks. So I was in that process hundreds of times over six months, and finally one day at the end of June in 2003 I walked into a little heating and air-conditioning company, a small little mom-and-pop business in Colorado Springs, and they were looking for someone to sell air-conditioners. And so I got a job there, knowing nothing about that industry, but I was fairly certain I wouldn't get a second chance. I wasn't going to second guess that opportunity. I thought that's what the universe had brought to me, and it was my responsibility to leverage that opportunity as deep as I could go, so I did that for about a year. A year later I opened my own company. I grew that to Inc. 5000 status, as you mentioned, and sold that company. Wrote my first book, The Upside of Fear, and then started getting calls from the big heating and air-conditioning manufacturers to help develop programs for their dealers across the country. And today I'm considered one of the leading experts in the process of selling heating and air-conditioning systems, residential sales, kitchen table with mom-and-pop homeowner. And it's all because I took that one opportunity in the heating and air-conditioning business and decided I would take it as deep as it goes, I wouldn't second guess it, I wouldn't judge it, I just would maximize and do everything in my power I could to be the very best I could be in that industry. That's amazing, and I might say that it also started when every single day you came back with a series of no's and got up the next morning and faced the same music all over again. I spent a decade in sales and sales training myself and did a lot of this work for years, and I frequently would come across people who said, jeez, I've had a bad week, I've had a bad month, I've had a bad season. This is six months, folks, this is six months of getting up every day, knowing that when you finally cross that line between here's my enthusiasm, but let me tell you a little bit more about my resume. The likelihood is you're going to face a no, and you still persist in the face of that to finally get that yes, that's a tremendous amount of persistence and determination. Since that time that business grew to over $20 million in just over six months, earning a spot on Inc. Magazine's 2009 List of Fastest Growing Privately Held Companies. How did you manage to do that in that period of time? Well, I went in, and the time period was 60 months, it was five years that I took it from zero to $20 million in sales. And I focused on the sales and marketing process. To this day I'm not very much of an expert in the technical application of heating and air-conditioning technology. My expertise lies in the ability of building relationships, earning trust, and converting that trust to a sale. And so when I opened that company I decided that we were a sales and marketing company that happened to sell heaters and air-conditioners. And so we took that approach, very systematic approach to sales and lead generation. And, as you well know having been in sales many years yourself, every time that I got one of those no's in my mind I would just hear it as not yet. That's what I would always say, just not yet, now is not the time. And that was true for me on the larger scale of life, but it's also true for individuals, and not just sales but anything in life that we're trying to accomplish. And sometimes we face various setbacks and we get deterred from our primary focus, that definite purpose and I think it's really important that we look at that and just in our heads say not yet, it's just not time yet. I believe, as your son had mentioned, that it's not a coincidence when you run across a book, and I'm not sure if you said that or if it was Gregory, but the idea that the universal lines and things fall into place according kind of to a rhythm. I believe very much in that, and so if we do have those setbacks in any element of life, whether we're trying to lose five pounds or trying to build a good relationship or trying to make a living, it's always about not yet, it's definitely not a no for me. Yes, frequently we look at life, I think, and say, gee, what a setback, but frequently it turns out if we just are patient, hanging onto that vision, hang on to what we're talking about with you today, it turns out it's a set up, it's a set up for a great success that you never imagined as good. So we're going to be talking more with Weldon, we're going to need to take a short break right now. I'd like to offer this challenge to our listeners, if you know someone whose small acts, no matter how small, are making a big difference in the lives of other people we'd love to hear about them. Tweet us at hash tag BetterWorldian so we can let the BetterWorldian community know. We'll talk more as we go along with Weldon when we come back about some of this journey that he's been on and how he went from where he started to where he is today, a remarkable story. You can learn more at BetterWorldians.com and follow our live tweets at Twitter.com/BetterWorldians. We'll be right back. We're back live with author, Weldon Long. We'll have more with Weldon in just a moment, but first we'd like to share some big news here at BetterWorldians Radio. As many of you know, we've recently launched a worldwide kindness campaign; actually we're challenging BetterWorldians around the globe to simply watch a two-minute video that illustrates the power of kindness. When we reach a million views on that video we will release funds for surgeries that will allow 10 kids in the developing world to walk for the first time. So please watch the video, share it with your friends at colorwithkindness.com, that's colorwithkindness.com. And now let's welcome back Weldon and MarySue. Good, good. You said you credit your transformation and success to the power of consistency, how did you discover the importance of having these good habits? Well, interestingly enough, the very first book that I read on my journey, after my father died I walked in the cell house, there was a mop closet where there was a sink and items that we used to clean the cell house, and there were two or three boxes, cardboard boxes, where the guards would come in and throw in donated books. And I went to that box, a couple of those boxes, and started going through them, after my father died, and realized that I've got to do something with my life. The very first book that I stumbled across was The Seven Habits of Highly Effective People by Dr. Stephen Covey. And not knowing at that time that I would have a chance to meet or work with Dr. Covey, he actually endorsed both of my books, and sadly passed away last year, but it was just an enormous influence on my life. And reading that book and understanding that life is about the little things we do habitually, I finally figured it out that life, success in life, money, relationships, et cetera it's not about the big moments in life. Success is the accumulation of seemingly inconsequential events and taken in isolation they don't seem like very much. One of the examples I use often is smoking one cigarette, if you smoke one cigarette it's not going to hurt you, but if you repeat that seemingly inconsequential act 10 or 20 times a day over the course of a lifetime eventually it will catch up with you. And I ask people often why do people smoke if they know it's bad for their health? And it's because smoking won't kill you today, there's no obvious consequence of smoking one cigarette, but if smoking one cigarette killed you, I mean somebody touched a cigarette to their mouth and they died instantly and somebody got that on YouTube that would be the end of smoking. No one would smoke again. But life is the accumulation of seemingly inconsequential events, and the more that we can identify the big things we want, then break that down into the seemingly inconsequential things we have to do to get there and then focus on those. As Jim Rowan (ph) often said success is about doing the ordinary things extraordinarily well, and just focus on execution on those seemingly inconsequential acts, eventually will accumulate to create for better or for worse our lives. Yes, I was wondering, Weldon, what were some of those good habits that you personally developed? -- I call the prosperity plan, and writing out the things that we want, but the key habit is reviewing it on a daily basis, 10 to 15 minutes a day of getting clear and focused on the things you want in your life. If you think about success in life there's kind of three compartments of time. You've got the past; you've got the present, and the future. Well, the only place you can build a great relationship is in the moment, you know, the only place you can build your business is in the moment. Sadly, however, we spend a lot of time regretting the past and anxious and scared about the future. And those things are constant distractions from the moment, and the moment is the only place that we can create amazing things in our lives. And so what I encourage people to do, I remember in Eckhart Tolle's book, Power of Now, he talked about just sit there and describe a pencil or a glass, anything right in front of you, for a few seconds, 10, 15, 20 seconds and just focus exclusively on describing that in miniscule detail, and do that for 10 seconds. And when you do that, at the end of that 10 seconds, you'll realize that you were completely absorbed in the moment. You weren't worried about that bankruptcy or divorce 20 years ago; you weren't worried about whatever fearful future that you anticipate. And the more we can stay in the moment the more successful we could be because that's the only place we can actually create. So when I look at the prosperity plan, I encourage people to do what I call a daily quiet time ritual, and I've developed this habit over many years now, of focusing on that for 10 to 15 minutes a day and just staying completely absorbed in that moment. And what I've found over the years is that focus on the present eventually it goes beyond 10 minutes, we start carrying it with us, and we have a sense of calmness, we have a sense of focus, clarity and purpose that allows us to accomplish the things we want in our life along those major dimensions of health and spirituality and relationships and money. Now do you say you do a formal meditation practice? It is very similar to a meditation practice, if you look at Eastern meditation, kind of the Ven mind, Begetter mind type thing, it's really about when we're talking right now and we're very active, our brain waves are very active right now, we are blaine (ph) waves or what they call beta waves, they're jumping up and down, they're hopping around and they're very excited because they're processing information. When we go to sleep at night we experience alpha brain wave, the brain waves kind of even out and so we can calm down and go to sleep. Well, the act of meditation, the Eastern practice of it, is about creating those alpha brain waves, those flat, calm brain waves while we're in the conscious state, in the meditative state. And so to some degree it's very much about that, it's getting in a calm place, a quiet place. I use little water features and some very soft music with no lyrics that don't distract me, and just focus on that plan for 10 to 15 minutes a day. I began doing that in 1996 in prison, and I'm telling you within a matter of days and certainly weeks my whole persona began to change because when you have a thought, any thought in your brain, you know, a lot of times people look at this law of attraction or whatever you want to refer to it as as kind of a mystical, almost existential thing, and it's really just neurology. I got a letter from a guy, he's a Ph.D. in the clinical psychology and teaches rational emotive behavior therapy and does leadership training for one of the largest companies in America or in the world, rather, tens of thousands of employees. And he writes me this letter, and he's written a couple of books of his own, and he says to me, you know, Wally, this was the most simple explanation of rational emotive behavior therapy and the neuroscience behind success I've ever read. And I said there's a name for it? I didn't know, I come from a very simple background, I simplify concepts. One of my favorite quotes was Steven Jobs; before he passed away he was asked to what do you attribute your success? And he said focus and simplicity, focus and simplicity. So that's what I try to do, I try to use small words, I try to keep it simple. People tell me they enjoy my books, and I say, well, they're easy to read because they were written by a ninth grader, so I keep it real simple. I think that's going to be very helpful advice for a lot of the listeners. You say in your book that we all know what we should do to be successful, it's just a matter of doing it, what do you mean by that? Well, it's really what I call the conundrum of human nature. Most of us know pretty much what we want in life in terms of income, retirement, relationships, marriages, that kind of thing. Most of us have a pretty good idea of what we need to do to have those things, yet we don't do them on a consistent basis. And that's what I call the conundrum of human nature, knowing what you want, what you need to do, and then not doing it. And I believe it's because the principle that Jeff Olson often talked about in his book, The Slight Edge, that as easy as it is to do certain things it's always a little bit easier not to. I've got a friend that gets up at four-thirty every morning and goes to the gym, and he'll tell you it's easy to go to the gym at five in the morning, it's just easier not to. And it's understanding that some little quirk of human nature that it's always going to be a little bit easier not to, and if we can kind of force ourselves to do it, you know, we've always heard that saying that it takes about 30 days for a new habit to become or a new action to become a habit. We've heard that often since we were kids. And there was a study that John Assaraf wrote about in his book, The Answer, that's a study where literally it takes the brain about 30 days to carve new neuro pathways. They put goggles on the astronauts that inverted their vision 180 degrees so they were looking at everything upside down, and they wore these 24 hours a day, seven days a week for weeks on end. After about four weeks each of the astronauts experienced the same phenomenon, that their vision was actually corrected, and the reason for that it takes the brain, since the body always knew what gravity was and what the vision should be, it took the brain about 30 days to carve the new neuro connections, the neuro pathways to correct the vision. Then, of course, they took the glasses off and their vision was inverted again, and it took time to repair through the neurological process. So when we start doing something, initially there'll be some unease because it doesn't feel normal, like the quiet time ritual, for example, the first 30 days it may be a struggle, but if you continue on that process suddenly we find ourselves doing the little things we have to do. It's kind of like if you drive from your work to home, you get in your car, you leave your office, you drive across town, there's a thousand different turns, a thousand different cars. The whole time you're on the phone talking to a client about a very complex issue, but then suddenly without ever thinking about it consciously to you are up on your driveway. Now we've all had that experience, but ask yourself this question, the first time you went to that house, the very first time you went to that house could you just do it without thinking about it consciously? Of course not, we had to have a realtor, a GPS or somebody tell us how to get there. Imagine trying to have that complex conversation with a client, and trying to find that house the first time, and trying to do both those things consciously? It wouldn't be very successful. But over time what happens is the little tiny things, the right turn here, the left turn here, the right turn here and so on and so forth, they go from our conscious mind, of course, to our subconscious mind. We call that second nature. When something becomes second nature you can do it without thinking about it consciously. So the point is you can have any goal, income goal, relationship goal, health or a fitness goal, and you figure out where do you want to go, you figure out the seemingly inconsequential events that you need to do to get there. In other words, where do you turn right, where do you turn left, et cetera, and at first you'll have to concentrate on it, just like you did the first time you went to that house, but if you do that over time eventually it becomes second nature and then you don't have to think about it consciously. The next thing you know you're going to the gym without thinking about it, you're making better health and fitness choices, eating better. You're not yelling at your wife, you're not doing this, you're not doing that. And so you begin to very suddenly, almost automatically over time begin to make better decisions on those things in consequential moments and over time they accumulate to help you get where you want to go, whether it's your house or whether it's a million dollars. You know, you sound like you're saying that it gets easier and easier as you go along, but most people have the big problem with taking that very first step, you know something. What's the catalyst? What can you tell people to get them to take that first step and how do you take that first step? Well, what I often tell people -- that's a great question, by the way because I think it is a huge obstacle, just getting started. I think the reason that people don't get started is very often they look at trying to achieve something and it seems so far away, it seems so complicated, there's so many things you have to do. Starting a business, for example, a thousand different things you have to do. What I tell people is you've got to simplify it, again, getting back to Steven Jobs, focus and simplicity. Find the first thing that you have to do and just do that. Don't worry about knowing the tenth thing. Lowzu (ph) said a thousand mile journey begins with a single step, we've all heard that many times. And so just focus on the very first thing. I'll give you a first example, you talked about that company that I built, that Inc. 5000 company, when I first started to open that company I was a year-and-a-half out of a homeless shelter and prison, and there were a thousand different things I needed to do. I needed to get licenses, and installation and service technicians, trucks, insurance and a building and advertising and accounting, and it's very overwhelming. And a lot of times people or that old paralysis to analysis thing, so I decided what is the first thing I've got to do to have a successful company? What's the very first thing I need? Well, I need to sell, I didn't need a license, an office or anything else, I've got to have a sale, I've got to sell something. What do I need before I sell something? I've got to have a sales lead. So I opened my company starting on a Sunday morning. I had taken out a full page ad that I put on a credit card, in a newspaper, it cost me $5,000 on a credit card, and I took out a full page ad, heating and air-conditioning furnace blowout sale, lowest prices ever. That's how I started my company without a -- I had a cell phone, I had no real phone, no office phone, no office, no trucks, no people, but I set 16 sales leads that day. And I went out the next week and began to convert those leads to sales, and then I went and found an office, and then I got business cards, and then I got this and that. And I think what happens is people, when I do sales training and what we call prosperity mindset training, that's what I do now for a living, obviously, and I'll have people come up to me and say, well, this and this happens, what am I going to do then? And I'm like don't worry about that today, worry about that when it happens. That's what happens, that's what I believe prevents people from taking the first step because they can't see the hundredth step, and move on to something, right? So focus on the next step, not the hundredth step. Perfect. Let me ask you about one of your goals that I really liked seeing when I read your book. It was a high reaching goal, you wanted to have a big name, like Tony Robbins, Stephen Covey, and Tom Hopkins endorse your book. How did you go about doing that? I think that's fantastic. That is such a great story, and I'll use Stephen Covey because that was -- Tom Hopkins is a very close friend, and Tony Robbins, as you mentioned, endorsed my first book. But I remember in December of 2008 I had the manuscript written for The Upside of Fear, and I was talking to the publisher and they said, hey, we need to start working on endorsements because the book was coming out in September 2009, nine months later. They said who would you like to have endorse the book? I'm like, well, Stephen R. Covey of course. And they said, Wally, do you know who Stephen R. Covey is? And I said, yes. They said we were thinking about your mom or your neighbor might just work. And I said, fine, that's how you want to roll I'll work on this. So I wrote down on a sheet of paper in December 2008, added it to my prosperity plan that Stephen R. Covey has endorsed The Upside of Fear. And I didn't just sit back and wait for the universe just to make it happen. Of course, we started trying to call his company every day, and we would send books and manuscripts, and they would get send them back, letters would be returned unopened, e-mails would be unresponded to, but we stayed at it. And five months later just before the deadline to go to hardcover press, like two weeks before the deadline or maybe a month before the deadline, I guess, I walk in where I was speaking at a luncheon and they were making announcements just before I went on, and a guy stands up in the front row and he goes, hey -- this is five months after I wrote it down, I'm repeating it every day, not worrying about how it's going to happen, just doing everything I can to facilitate and give myself the best probability -- a guy stands up in the front row and says, hey, all you guys know that Julie, my daughter, is Stephen Covey's personal assistant and they're going to be in Colorado Springs next month, so if anybody here would like to meet him let me know, and my jaw hits the floor. So I go up on stage, I do my hour keynote. I come down, the guy says, Dr. Covey should read your book. And I go, no kidding, I've been saying that for six months. He says, well, hold on a second. He picks up a cell phone, calls his daughter, he says, honey, I've got a guy here went to prison for 13 years, he read Stephen's book in his cell, it changed his life, now he has a book of his own. I'm going to send you a couple of copies of the galley, the advance copy. Okay, daddy. The next thing I know, a month later they arrange a meeting with me and Dr. Covey while he was in town. It was an extraordinary meeting. I cried when I met him. He put his hand on my heart and repeated three times that you have a divine destiny, you have a divine, divine destiny. It was just an amazing experience. The next week, the next Wednesday he decides, by the way, it was supposed to be a year process for him to go through the vetting process before they'd put his endorsement on a book. Well, we had two weeks to that point, maybe even a week even. So he's on vacation with his family, and one of his assistants calls him and asked him if he'll endorse the book despite the fact we only had a week and not a year to vet the whole story. And he turns to his oldest daughter, Katherine (ph), who happened to be there with him. She had just read The Upside of Fear, she loved it, and she also happened to be the Chairwoman of the Committee that makes the decisions about her dad's endorsements. And together on the phone they read the endorsement for The Upside of Fear, but the most amazing part of that story that happened on June 10th of 2009 it was 13 years to the day that my father died on June 10th of 1996 and I picked up The Seven Habits of Highly Effective People. So when you talk about the universe kind of conspired, when you put something in your brain and you focus on it, you know a lot of scientists talk about the reticular activity system, which is a filter in the brain, I talk about it a lot in my book, and that it goes out subconsciously. It's looking for opportunities to make things happen. It's kind of like if you've ever had a situation where you're trying to remember the name of a song, you and a friend are talking about it, but you can't remember it. Eventually go back to work, you forget about it, and two or three days later what happens? Bam, all of a sudden it comes to your conscious mind. It's because the subconscious mind never stops trying to figure things out. The conscious mind has to go back to work, but the subconscious mind works 24, seven, it's 10,000 times more powerful than the conscious brain, the conscious mind, and it continues to search for the answer. When it finds the answer it throws it up in the conscious mind and, boom, the next thing you know the song remains the same, unless I forgot it. You know, you remember. Well, you can put any problem into your brain like that and it'll figure it out, way, way beyond the scope of the conscious mind. That's such an inspiring story. Thanks for sharing that with everyone. I'm curious what has been the most rewarding part of your whole turnaround, your whole transformation? Well, that's a pretty easy one. The first thing on my list when my father died I made a promise to him that I would become a man that he could have been proud of, and I made a promise to my three-and-a-half year old son that I would be the father that he deserved. I built a relationship over the next seven years with my son while I was in prison through letters, and when I got out of prison he was 10 years old. Of course, we really didn't know each other, and his mother was having some problems so I was able to get custody of him. And so at 10 years old I got custody of him and I was able to raise him. And he's 21 years old now, he's a junior in college now, and he's really making a lot of good decisions on building a life of his own. So the most rewarding part has been the family, my new family, my wife, Taren (ph) and her daughter Skylar, and my son Hunter really are what comprise my life and are the single most or the three most important things to me, kind of combined in one. And really everything that I do is to take care of my family, to support them. And I think at the end of the day when we're on our deathbed we're going to think about one thing and that's relationships. We're going to be thinking about the quality of those relationships. So, to me, it's really about that, and I'm here with Skylar and Taren in Breckenridge this morning and my son and his girlfriend are driving up from this college this afternoon, so they'll be joining us tonight. So that, to me, is what it's all about, and without the changes that I've made and the things I've experienced I wouldn't have any of those people in my life and they are the most fulfilling and the most wonderful and the biggest reward by far. That's a great story because I've had similar experiences. People have the perfect office, the perfect lamp, and I'm like what do you need that for? IBM was started under a very simple philosophy. Of course, one of the greatest technologies, you know, back in the day, technology companies and coming back now, but Thomas Watson, Senior started that company with a simple philosophy. It wasn't about technology; he said nothing happens until something gets sold. And I also have to say Skylar is sitting right here next to me, and she just reminded me about Princie (ph), my wife's Persian cat, that he's part of the family, too. Hi, we're back with Weldon Long. He's talking about how you can change your thinking and change your life. We'd love it if you'd call in with a question for Weldon. You can call 1-866-472-5788. Again, that's 1-866-472-5788 or if you prefer you can e-mail us at radio@BetterWorldians.com or tweet us a question at Twitter.com/BetterWorldians. Hey, Weldon, this is Greg. Hey, how you doing, Greg? Pretty good, pretty good. I want to talk in this last segment about redemption. You were about as down and out as someone can be, but now you've got this great career, a happy family, an amazing life. What's the message you would have for someone who feels like they've gone too far to turn his or her life around? Well, and that's a very, very important question. I remember I mentioned to you when I met Dr. Covey he told me three times that I had a divine destiny. And I said, Dr. Covey, what do you mean exactly by that? And he told me that you have a divine destiny to share this story to give people hope, that no matter how far down they've fallen, no matter how far down they are that if they are willing to take certain steps and to accept responsibility for their decisions they can change the course of their life. So I think the first thing I would tell somebody who was really down and out is look at my life, and I know it's a cliche, but cliches are cliches because they're true. Look at people, and it's not just me, I meet a lot of people out there. I'm surprised how many successful entrepreneurs and executives I meet that had some trouble in their past. Look at people around them that have had that kind of change and the first thing they've got to have is hope and belief, and they've got have hope and belief that it's possible because if we don't believe that it's even possible then, of course, why even make the effort, you know? It's a self-fulfilling prophecy. So it's really about having hope and belief and looking around, if one man can do it, another man can do it. And somebody else's dream might be different from mine, they may not have a dream to write books or build a business, but their dream might be to work in a certain type of industry and have a family. They just have to believe that no matter how far down they are that the hope is still there because the hope is the fuel, the belief is the fuel to move forward. And then just start figuring out one or two simple things. What's the first thing I could do today to change the direction that I'm on, what's the first thing? Don't worry about the tenth thing, don't worry about how overwhelming it is, and just focus on doing that one thing, and the second thing will reveal itself. And I think that's what people get so overwhelmed, the distance seems so far away and it really isn't, I mean it can change in just such a short amount of time. Well, if there's one thing that we can all do to improve our lives, what would you say that one thing is? Well, and it's really the basis of this whole conversation, and that is to change the nature of our thoughts. These whole thoughts are things, in fact, that was the first line in Napoleon Hill's great book, Think and Grow Rich, thoughts are things. I just worked on a project with Mark Victor Hansen, who wrote the Chicken Soup books and Tom Hopkins, the legendary sales trainer, we worked on a project for the Napoleon Hill Foundation. Napoleon Hill identified thoughts are things having a definite purpose and a burning desire were the three most important things to success, and that book was published, of course, in 1937. So we kind of discussed the purpose of the project was to see are those things still relevant today. And, of course, they are, they're just as relevant today as they were then. Victor Frankel (ph) said that when we cannot change the circumstances around us we can only look at the option to change ourselves and we've got to change the way we think. Physiologically when you change the way you think it sends chemicals or little impulses of electricity into the hypothalamus, which is the part of our brain that secretes chemicals that determines our emotions. If you change what you think, if you literally think something positive, this is not smoke and mirrors and magic pixie dust, you know, and whatever, this is real neuroscience. If you think something positive and exciting you literally will secrete chemicals in your body that changes your emotional state. When you change that emotional state you change what you do and, of course, if you change what you do you change what you get. It's got to start with the thoughts. Well, how about this holiday season? This can be a time of year that's obviously about redemption, what would you want to say about redemption this time of year? Yes, now that's another great question. You guys have put a lot of thought into this. This is a very difficult time of year. I'll just tell you on a personal level, my sister who is two years my senior and just a woman that I love very, very much committed suicide nine years ago on December 29th, and it's also my new wife's birthday, December 29th. And so it is a very difficult time of year on one point, a celebration, ON one point it's a lot of remorse and loss and regret. And I think for a lot of people, you know, we do our weekly TV shows, and we just did a show on this, that the expectations going into the holidays we have to be so careful financially with respect to our families, emotionally, we have to keep those expectations in check. And obviously this is a time where we have high expectations on what's coming to us, and I think the key is is to do exactly what you guys are doing, to take this time and think about what you can do for other people, what contribution can you make? When Tony Robbins endorsed my first book he said, congratulations on your turnaround from prison to contribution. He didn't say from prison to a house on Maui, he said from prison to contribution. And I think that next to family that's the single most important thing that we should do. That's the whole thing you guys are doing, your whole business, your whole -- all your time and effort is spent in doing things for the people. And I really think it's almost as a cautionary tale as you go into this season where expectations on what we're going to get from somebody else, either materially or emotionally or spiritually we can be very disappointed. We have to go into that, okay, what am I going to do for this person, what am I going to do for other people? I think it's just the most important thing. And you talk about the redemption, you know, that is the redemption. It's taking whatever we have and paying it forward, much like the work you all are doing. Yes, I think that's a great point, you know, I mean one thing you hear a lot during Christmastime and it's a cliche, but as you say a lot of things are cliche because they're true, is that Christmas is supposed to be about giving, it's supposed to be about helping other people. And I think it's something that we not just believe here, but know, as you say backed by scientific research, is that good things happen to good people, as Dr. Stephen posted last week on our show. I think Christmastime is the time of year where if you do the good and you really believe in it and you make it happen those things are going to come back to you, and I think that's a good way to think about the holiday season, don't you think? Absolutely, absolutely, I believe about that contribution, it makes such a big difference, and that's why the response that you all are having to the work that you're doing, it's not a coincidence, it's because that's the most important thing we can do again, next to taking care of our family first, of course. We actually have some questions from our listeners. One is from Sue, who wanted to know do you ever visit prisoners and, if so, what's your message to them? Yes, actually, I tell a people a joke often that I spend more time in prisons now than I did when I was there. I get a lot of requests, and I've been working on one particular project at Buena Vista Correctional Facility here in Colorado. It's where I served the first couple of years of my time back in the 1980s, and I developed a very close relationship with the warden there. We've actually been working with the inmates, but also with the staff to improve inmate-staff relations. It's very stressful on the correctional officer side, just as it's very stressful on the inmate side. My message to them is personal responsibility, stop blaming the ex-wife, stop blaming the judges, stop blaming the prosecutors, stop blaming the world around you, look within, take responsibility, make the choices, better choices virtually guarantee better outcomes. And I can have that conversation with them from a place of just where they can't really call a bogus on it, you know? They can't because I was there for 13 years; I'm not like a guy going in who was there for a weekend on a DUI or something, it was my life for decades. So that's my message to them, but, yes, I spend a lot of time, many times in prisons where I was living years ago, and that's always a very surreal experience to go back, recently back into one of the cells where I lived back in the 1980s, and just a very surreal experience. Well, related to that e-mail from Sam, who wants to know if you hire for more inmates? Yes, we have over the years in our heating and air-conditioning company we often would. I would typically pull those guys aside and I would have conversations with them of my expectations for them are much higher than I have for the average person because we're going to be under a microscope. It's just the burden that we're going to bear. So, yes, we would never exclude somebody just based on that, especially given that the kind of difficulties I have and I have some wonderful success stories of guys that we hired that work for us and just really flourished really well, did really great. It's the biggest challenge guys had, and we talk about from a public policy issue guys getting out of prison, there are women, too, women populations are growing. I don't know what the answer is, it's a very complex issue with liability in the workplace and different things, but we've got to find ways to provide work, meaningful work for these people because that means the work, it's just virtually is impossible to rebuild your life. 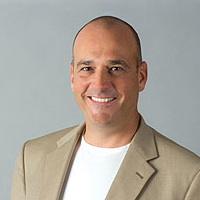 Yes, we actually have a question that just came in from Carlo on Twitter, wanted me to ask you how many days you wake up early to review your affirmations? Well, it's a daily quiet time ritual, and it is every day. I travel quite a bit, it's one part of my job I'm not thrilled with because I prefer to be at home with my family, but when I wake up and it's not unusual I will wake up literally in the first 10 seconds I remember, okay, what city am I in, what am I doing? Because I mean sometimes it can be three, four, five cities in a week, and the first thing I do is I get my coffee going, I have my prosperity plan on my computer and I start reading it. And within moments of reading it I remember what I'm all about, I remember what my purpose is, what I'm to be focused on, et cetera. So it's definitely a daily thing. The first thing on my prosperity plan, I'll just share it with you, I just pulled it up here on my computer, so no matter where I am in the world the first thing I read every morning is my purpose. My primary purpose in life is to serve Taren, Skylar and Hunter and to protect and care for them, and I inspire and teach others to overcome challenges and prosper in the face of adversity. It's the first thing I read every morning, and it goes on beyond that, obviously, but immediately I remember, okay, my personal objectives, take care of my family, my professional objectives are to inspire others to overcome adversity. And so I get very clear on what my focus is for that day. Yes, well, thank you for sharing that and thank you, Sam, Sue, and Carlo for those questions. Just one other question I had, maybe this ties back to the question about redemption we talked about, Kaitlin was wondering about the HVAC business owner that gave you that first chance, what did that experience teach you? You know, it's kind of interesting, I was very, very grateful to that guy; he did give me a chance when no one else would. He also became very, very angry when I left and became a competitor, and not only a competitor but we dominated our market for those five years. We pulled more than twice as many residential installation permits as our nearest competitor and we demolished the competition for those five years I owned the company. But so we were never able to make any friendship because, sadly, he was overcome with -- he had a very nasty mindset, not the funnest mindset, you know? And so he became just kind of I don't want to say jealous, but just angry about our success. But I've often come across people that I know that know him, and I always tell them I'll always appreciate that opportunity and I'll forever be grateful, you know, for taking a flyer on a guy like me. Yes, I mean we think gratitude is a big part here of our BetterWorldians mission and a lot of the research on being positive and having good things happen to good people says that gratitude is that core virtue and that a lot of them stem from there so. Yes, one of the things I read one time is that if you can get in the habit of the first thing each day just list five things very quickly in your mind, five things you're grateful for, and then it changes your whole perspective, I mean within seconds it will change your perspective, and it can be the same each day, it doesn't have to be different things. And people often tell me, well, it's easy for you to get them, family and success and career. Well, I used to do it in prison; I would find five things to be grateful for every morning in prison. I'd wake up in my cell, usually with a cellmate, you know, in a very cramped environment, concrete walls, laser wire and steel beds, and I found something to be grateful for every morning, many things. Well, we can certainly be grateful for this wonderful experience that you've shared with us, your story today, Weldon. This has been an amazing journey that you've been on, and that I know that you'll continue to go on. Gratitude has frequently been classified as the cardinal virtue and it's the first virtue that we actually exemplified in our game, a better world where people are expressing gratitude on a daily basis. So you can find out more about Weldon's story by going to his website, weldonlong.com. Weldon once again, thank you for joining us on BetterWorldians Radio today. Well, thank you so much for having me, and congratulations to you all for the amazing work that you're doing. Thank you very much. Please join us next week for our show, Giving Back. For the holidays and beyond we're featuring two wonderful Philadelphia based organizations that seek to help less advantaged and keep them warm and safe in the holidays. We have an excellent lineup of guests coming up in the coming weeks. If you know an unsung BetterWorldian who would make a great guest, you can send us an e-mail at radio@BetterWorldians.com. We'd like to remind everyone before we go that you can simply be part of a miracle this holiday season simply by sharing our video challenge and helping heal 10 disabled children. It's that easy, you go to colorwithkindness.com, watch the video, share it with your friends, and give these kids the gift of a lifetime. Once again, we'd like to thank everyone today for listening. You can join the BetterWorldian community at BetterWorldians.com. Until next time, everybody, be a BetterWorldian.